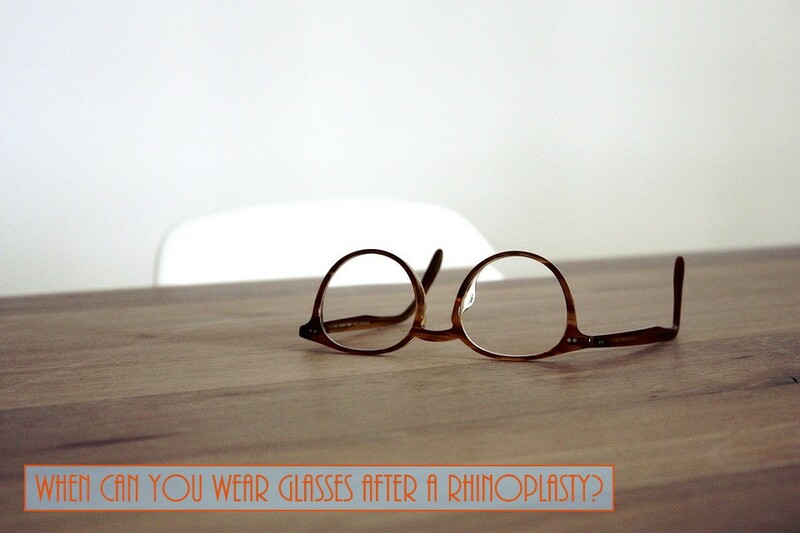 Home > Blog > When Can You Wear Your Glasses After A Rhinoplasty? "To help your healing nose maintain its shape, you won't be able to wear eyeglasses, reading glasses, sunglasses, or other optical wear that rests on the bridge of your nose for approximately four-to-eight weeks." There are no limitations to wearing your eyeglasses on top of your nasal splint during your first week of recovery. Although, it is highly recommended that you wear the lightest possible eyewear you own to not cause any excess pressure on the healing nasal septum. Once the cast is removed you should avoid wearing glasses (including sunglasses) directly on your nose for approximately for 4-8 weeks after surgery. You should be prepared for moderate swelling and some bruising of the skin. The degree of swelling changes from patient to patient. Most of the swelling and bruising should recede in about 1-2 weeks although some swelling can persist for up to 2 months. It is ideal to avoid having the weight of your glasses shift your healing nasal bones and potentially cause indentions requiring revision surgery. What To Expect After Your Rhinoplasty?